KEES' goal is to provide our guests with an exceptional Outer Banks experience. Our concierge partners provide incredible services that you may request directly. KEES' guests may also call 866.316.1843 and request to have any of the services arranged and billed to their reservation account. 2019 SEASON OPENS THIS SUMMER! These ticket prices reflect the discount given to KEES guests! Click here to buy tickets or call 866.316.1843 seven days a week from 8am-7pm. Let us do the cooking for you. 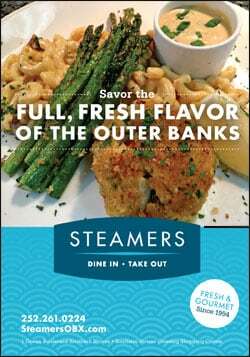 From a family party to a large corporate event, Steamers Catering and Personal Chef Services are renowned for turning your occasion into a fun, memorable and delicious experience. The Premier Outer Banks Sports Club! Reserve turf time to enjoy some of your favorite sports or relax in the sports bar. 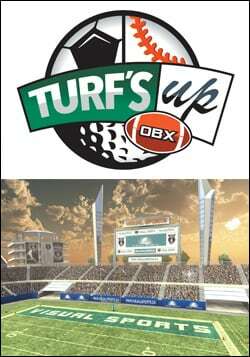 Turf's Up caters to all ages and levels. You may even reserve the facility for a party, family reunion, or other special occasion. 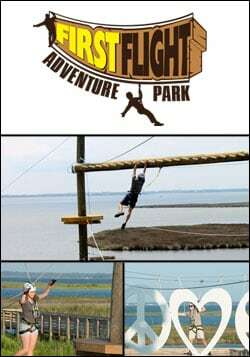 This is one OBX adventure that shouldn't be missed! Private Yoga for Families & Groups! 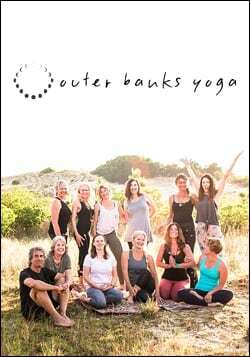 Outer Banks Yoga has been serving visitors to the Outer Banks for nearly two decades and our most beloved, experienced and trained instructors are available to come to you for private sessions on the beach or at your rental. Each session is tailored to meet the needs of those present. We are highly skilled at designing classes to suit those of varying abilities. We encourage curiosity, create a non-judgmental space for all to learn and ask questions…and can accommodate specific requests. Let us design a practice that your whole group can enjoy! KEES Guests Receive 10% OFF Final Fee! Please send along your KEES reservation number when you send us your inquiry. Thank you! Book online here to reserve. Good for 2 hours.This includes gear such as helmet and gloves. Children under 5' need to be accompanied by someone over 5' tall. KEES Guests Receive 10% OFF! Heading to the beach for a day, and want to be pampered in the shade or a 10 x 10 beach tent? Farmdog Surf School has got you covered! Farmdog Surf School will set up and break down a 10 x 10 beach tent and 6 high quality beach chairs right in front of your cottage or beach access. Up by 10AM, down at 5PM (unless inclement weather dictates otherwise). Want to lighten your beach load? 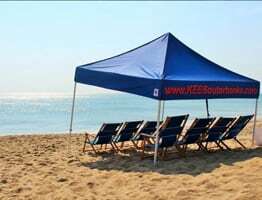 KEES can have chairs and umbrellas delivered beachfront through Farmdog Surf School! Farmdog Surf school offers Stand Up Paddle Boards (SUP?s) for rent in two constructions. We rent epoxy (fiberglass) Stand Up Paddle Boards for the more experienced rider or soft Stand Up Paddle Boards for the rider who might be a novice or for someone who wants a rental that won't scratch up their boat or car. Epoxy SUP's come in 6 different sizes from 9'4-12'0 because we understand that people come in all different sizes and skill levels. Provided by Farmdog Rentals. Bikes available in three different sizes. A 19" men's frame, 17" step through and 14" step through. Perfect for cruising up and down the Beach Road or back along picturesque soundside trails. 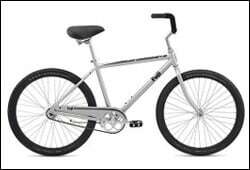 These beach cruisers are single speed, back pedal (coaster) brake, and feature front and rear night lights. Included in this price is a helmet, lock and basket. Farmdog Surf School is not just a surf lesson; it's an experience from beginning to end. We offer NSSIA Certified surf lessons because we believe you should have the highest quality and safest surfing experience possible. When you get a surf lesson at Farmdog Surf School, it's not one size fits all. We have everything to personalize your lesson, and to outfit you for a positive and productive experience. 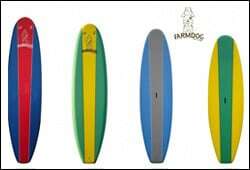 Farmdog carries eleven different surf board sizes and twenty-one different wetsuit sizes for men, women, and children. KEES Guests Receive 10% OFF when ordering online at Masalabaygrill.com/kees-guest-discount-10-off. Party trays start at just $12/person for 3 entrees, rice and bread! 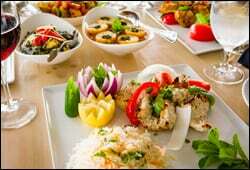 Masala Bay has a beautiful, waterfront setting and fills a gap in OBX dining, providing genuine North Indian cuisine. 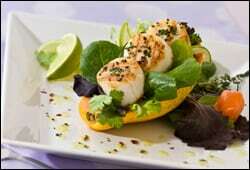 The restaurant offers a special experience; with attentive service, unique ambience, full bar and delicious food. Open for lunch and dinner, Masala Bay delivers a variety of hearty dishes and also excellent choices for vegans and vegetarians. Take-out party platter options are available - a convenient option for home celebrations and Outer Banks vacationers. KEES Outer Banks Grocer was founded with the simple idea of making grocery shopping more convenient for our renters. Most of us lead busy lives and our time is very precious. Why waste it standing in long lines or pushing a grocery cart around a crowded store while you are on vacation? KEES Outer Banks Grocer gives you the freedom to shop anytime day or night and from the comfort of your own home before you arrive on your Outer Banks vacation. What better way to start your Outer Banks vacation, than with fresh flowers? Make your vacation rental feel like home with fresh flowers delivered! Have friends or family you would like to welcome to the Outer Banks? Send them smile with a gift or flowers. We Cook, Setup and Even Clean Up! We cook for groups from 6 to 600 people, children and adults. We supply you with USDA choice meats, that have been carefully selected especially for you. Our seafood is fresh and all locally caught. Beef, Pork and Chicken are USDA inspected. We set all meals up buffet style and you serve your own drinks. 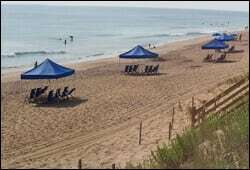 This is a great service to add to your vacation on the Outer Banks of North Carolina. We service the following areas Corolla, Corova, Sanderling, Duck, Southern Shores, Kitty Hawk, Kill Devil Hills, Nags Head, Hatteras Island, Buxton, Frisco, Avon, Waves, Rodanthe, Salvo. Take some time away from the beaches and play the green. Consistently rated one of the top courses on North Carolina's historical Outer Banks, Kilmarlic Golf Club sits among 605 acres of maritime forest and sprawling wetlands. Award winning course architect Tom Steele's classic design creates stimulating challenges with it's outstanding layout and conditioning. Play your way through canopies of giant oak, pine and dogwood that exemplify the natural beauty of North Carolina's Outer Banks and you will start to understand Kilmarlic's unique partnership between golf and nature. 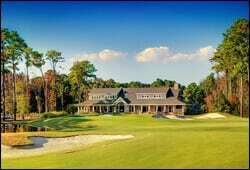 Book your tee time now by calling 252.491.4220 or click on the button below. Looking to add a unique bar experience to your vacation for a night, or the freshest cocktails on your wedding day? 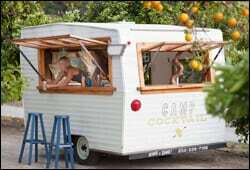 Camp Cocktail the one of a kind vintage camper bar will come to you, specializing in creative mixology and custom cocktail menus, offering fresh and seasonal handcrafted libations. Our bar comes staffed with bartenders versed in the art of the craft, glassware, a record player with an eclectic vinyl selection (we can do personalized playlists too!) and an attention to detail that makes every event stand apart....and you don't even have to leave your lawn! For inquiries check out our website CampCocktailEvents.com and let's get this party shakin'! Let Us Come to YOU! 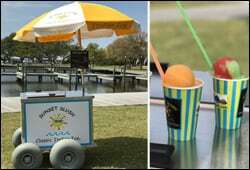 All ages will absolutely love this refreshing uniquely prepared gourmet, hand scooped Italian Ice! Customize your menu by selecting from over 30+ available flavors plus swirled combinations– all served from our classic style beach carts that can easily be set up in any location. Adults can even top with spirits to create one-of-a-kind adult cocktails. All lactose, gluten and fat free and all delightfully FUN for the entire family! 2 hour service includes – server, UNLIMITED Italian Ice and all supplies. We Take Care of Everything! 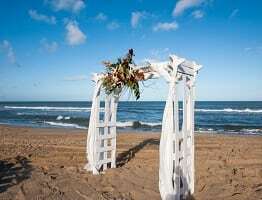 Contact us at 252.564.5126 or email eric@obxsunsetslush.com for pricing and availability. Visit www.obxsunsetslush.com for more information. KEES Outer Banks Vacationers get a FREE 30 minute beach portrait sitting. 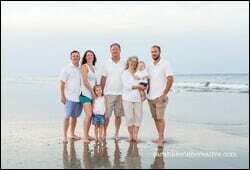 We are happy to be working with Sarah Keenan Creative for OBX Beach Portraits. As a KEES Vacations partner, we are excited about this special offer for our guests. For booking details or further package details contact Sarah! KEES Guests Receive 1 FREE PASS per KEES home! 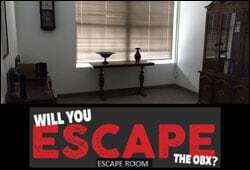 Will you Escape the OBX, Escape Room, is a fun hands on adventure for the whole family. Use your thinking skills and teamwork to search for clues to find jewels, treasure, restore life to an enchanted garden or simply escape! Try one of ours many themed rooms. Check us out on FB or our website for more details. Great for rainy day fun, parties, date night and co worker get togethers. You will have to think outside the box and have a quick wit to beat the clock. Can you do it? Let's find out!! Call 252.491.5656 or book your reservation now! No need to worry if your rental property isn't pet friendly. With on-site veterinary services and skilled and caring staff members, Ocean Sands K-9 Resort will pamper your pet during your vacation. 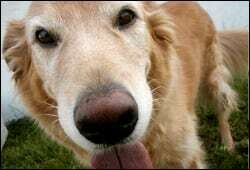 Ocean Sands K-9 Resort offers space for your furry friends to run as well as generous visiting hours so your pet can still be a part of your getaway. You may visit www.oceansandsk9resort.com or call 252.441.6501 to book your stay, or just have one of KEES' Reservations Agents make arrangements for you! The weather was stormy most of the time, however we could not have been happier with the experience. The house, ‘Happy Sol’, was wonderful. The family room and kitchen were on the top floor with a view of the stormy ocean to die for. The house had everything we could want. We cook in for family dinners and the kitchen was completely equipped for that. Our 2 1/2 year old grandson wanted us to stay and live there. The Kees people were great, daily towel service on time and always asking if we needed anything. House was very clean. We will rent with Kees Vacations again soon!